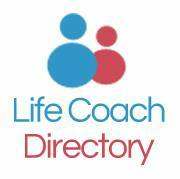 Life Coach Directory only lists life coaches and NLP practitioners who are registered with a recognised professional body or those who have sent us copies of their qualifications and insurance cover. Various areas of life coaching include: Parenting, Youth coaching, Health, Relationships, Personal development and more. Web directory available at all times. Directory is free to search. Services will cost to various degrees. Please make sure you read Terms and conditions prior to agreeing to external services.